Feeling hungry anybody? 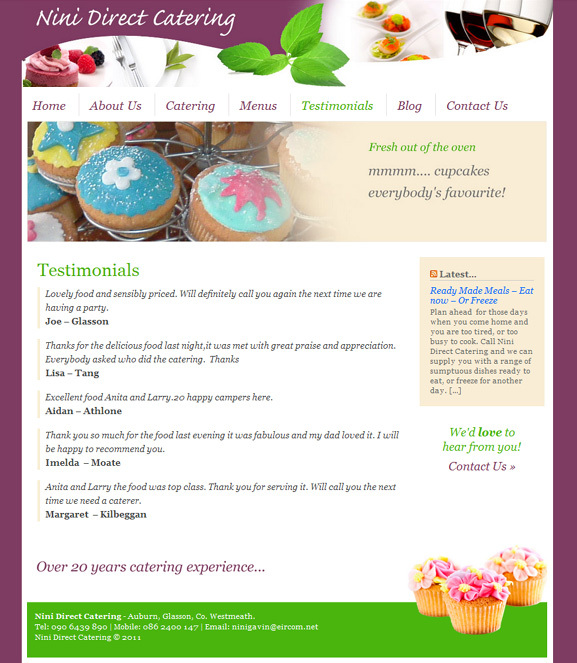 Then check out Nini Direct Catering’s new website. Based in Westmeath, Larry and Anita provide catering services to the Midlands and have over 20 years experience in the business. So if you’re planning an event and in need of some top class cuisine contact Larry or Anita, you won’t be disappointed. While you’re at it, why not have a read of what some of their happy customers say. Your description makes my mouth watery. Can’t wait to try your recipe. Thank you so much for providing the information.